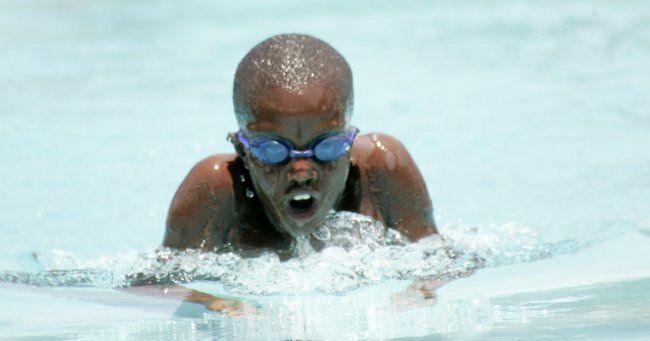 The Nairobi Amateur Swimming Association team which will take part in the Level I, II and III swimming championships in South Africa from February 28 will commence training this weekend at the Moi International Sports Centre swimming pool. Cardimore Avwonda, the NASA Secretary said the team will be training two hours every weekend to prepare for the championships. “So far, only two swimmers have confirmed they will participate though quite a number have qualified. Nabil Saleh and Martha Opiyo are the only ones who have confirmed though we have others like Ambala Atuhaire and Kabir Bedi. Level III, what we call Tripple A here is the highest level because of the qualifying times and therefore you find very few swimmers qualifying,” Avwonda explained. “They will be training for two hours every day on Saturday and Sunday,” he added. NASA organized the Triple A Gala championship over the weekend at the Aga Khan High School with the Seahorses Swim team dominating both boys’ and girls’ events. “We had to do the championship in a short course pool because at the time, the Kasarani pool was not yet ready but we would have preferred a long-course one because we will be swimming in such a kind in South Africa,” Avwonda added. At the weekend's event, Seahorses gathered 163 points in the girls’ category beating Loreto Convent Valley Road who finished second with 136 points. Braeside School was third with 131 points. In the boys’ category, Seahorses gathered 292 points, Makini Schools coming a distant second with 115 points while Braeburn School was third on 104 points. This weekend, NASA will hold the Double A championships at the Kasarani Pool with swimmers who attain the Level II qualifying time earning a slot for the South Africa team. “We already have a provisional list for the South African championships but any swimmer who manages to attain the qualifying time will get into the team,” Avwonda stated. The South African championships will start in early March after the national gala organized by the Kenya Swimming Federation. The KSF Gala will also double up as an event for selecting the Kenyan team for the World Long-Course Swimming championships in Kazan, Russia in July. The KSF gala will be held from February 25. Mike Abuya, the KSF media liason said they intend to send at least a team of eight to Kazan for the Long-course championships. KSF is also aware of the of the All Africa Games in Congo later this year and the World Youth Games in Singapore in September. “We are looking at fielding more swimmers in this year’s championships because our swimmers are getting better. We want to send four girls and four boys to the Long-course championships while we are looking at a field of almost 20 swimmers for the All Africa Games. The gala will mostly involve local swimmers because we are monitoring the times posted by our foreign-based swimmers,” Abuya said.